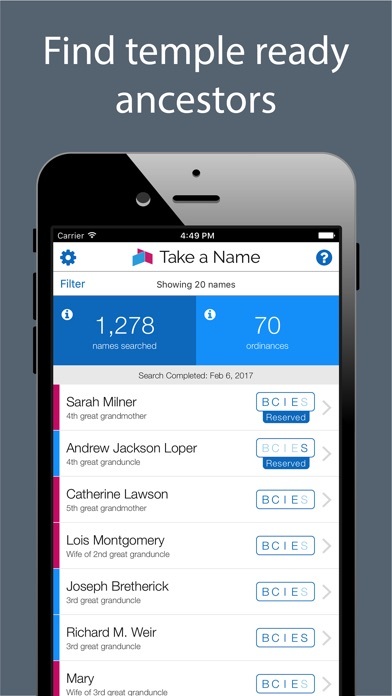 Take a Name is a family history app for LDS Church members who want to take their own family names to the temple. It requires a FamilySearch account with access to LDS ordinances. • Find temple ready ancestors—Take a Name searches the FamilySearch tree for your deceased ancestors and double checks that LDS ordinances are ready for the temple. 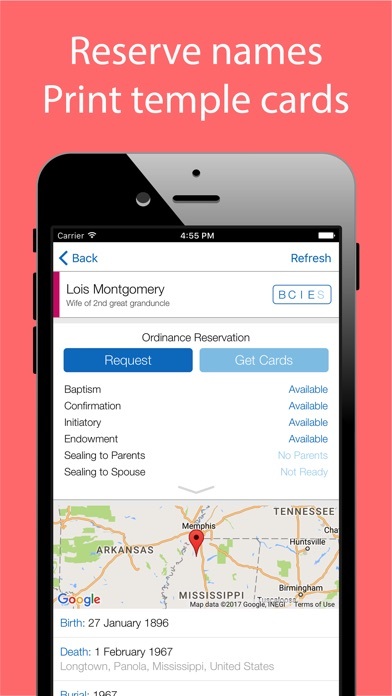 • Request LDS ordinances and print temple cards – from your phone! 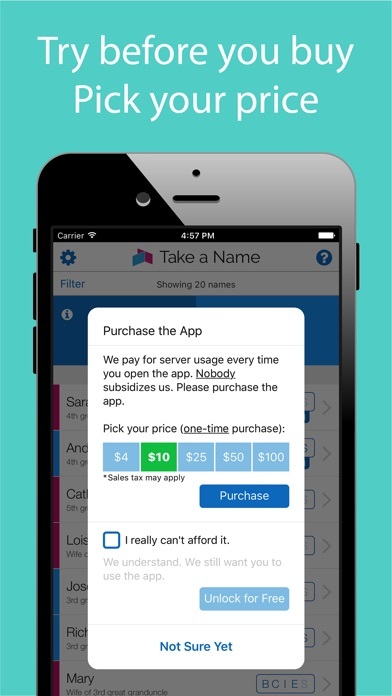 • Try before you buy, pick your price—Try Take a Name for free! You can purchase the app when you're ready via in-app purchase. • Less time searching, more time serving—Take a Name typically delivers dozens of temple ready family names in a matter of minutes. It’s genealogy, but easier! 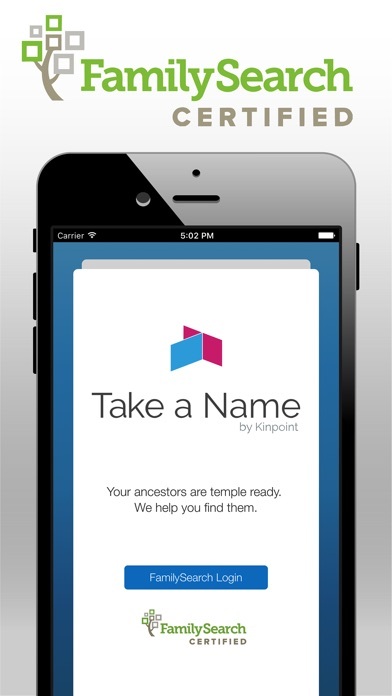 • FamilySearch Certified—Kinpoint is a FamilySearch partner, authorized to submit names for temple work. • Data integrity—Take a Name performs a detailed set of data checks to provide confidence that an LDS ordinance is temple ready. It also excludes names of ancestors with unresolved duplicates. Take a Name does far more than simply scraping the FamilySearch website for green temples! Spend time in the temple with your ancestors instead of outside trying to find them. Genealogy has never been so satisfying! This app is Awesome!! It has helped us find lots of names to take to the temple. Also, it has got my teenagers excited to do family history. Thank you so much for making this app!! Genealogy is NOT Family History. This just picks the low hanging fruit from your family tree. That’s great! Use it when you got to the Temple and haven’t found any names from your own research. The temptation is to use this instead of FamilySearch where more of the hard work and investigation takes place which leads up to temple work. I have used this app to find and take family names to the temple, but I have been a bit concerned as I have dug deeper into family history that some of the names being generated for ordinances have no record of a death date, meaning there is no way to know if they died in infancy, which would mean temple ordinances are not necessarily needed, for some of the names this app is coming up with. I am just wondering how the names are found generated. It seems that reliance on this app is making people think they are doing needed temple work for ancestors that really don’t need it. How sure are you that these ordinances are really needed? Is this app generating unnecessary ordinances? This is an amazing app! Highly recommend for anyone looking for temple names! This app has been truly helpful and my family uses it all the time. I bought it since it it so good. The only thing that could make it better is if you could select multiple names and then request them. Also, once reserved, if you could print multiple names per sheet of paper instead of one per sheet. My work around has been to request them one by one on this app and then go into Family Tree and print all of the ones that I’ve reserved, since Family Tree let’s me print multiple names per sheet. Keep up the great work! 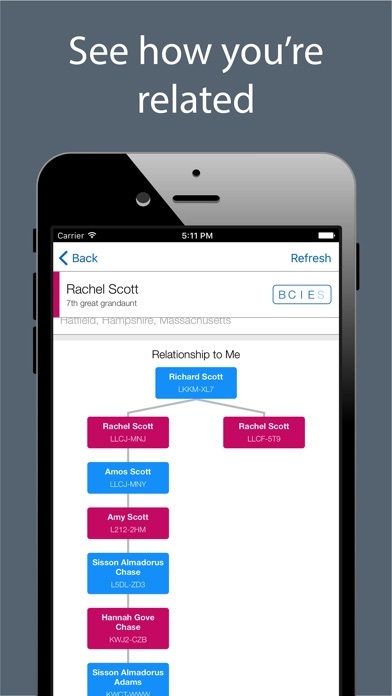 I’ve always found it quite hard to thread through my family tree for family members who still need ordinances done, but this app has truly helped me find those lost family members that I now can do the work for. I thought I was caught up until I did the search on this app and found I have many family members ordinances that I still need to finish! I am so grateful I found this app & hope to spread the word to my young generation who would also find this app helpful and easy! It found three names and I do believe they were not duplicates. I like how this app is free but allows the user to donate to support its development. I believe this is a great model for Gospel-based apps. Consider a donations button instead of in-app purchases, you can keep 30% that Apple would otherwise take.